Pole dance today is among the most popular types of fitness. Not only does it look good but it also develops your flexibility, strength, endurance, and coordination. So, if you are into pole dancing, you are certainly on the right way! However, starting to pole dance might be challenging for beginners, especially if a one doesn’t have an instructor. Fortunately, there are special apps that help to improve pole dancing skills. Even if you go to a dance studio or to a gym, these apps will be useful to you. They’ll keep you on the right track and give you lots of inspiration. Let’s begin! Pole Dance Lessons by Veena is one of the most popular pole dance apps available both on iOS and on Android. The app features lessons created by a famous pole dancer and pole teacher Veena who has been sharing her knowledge with students for a very long time. All lessons introduced in the app are based on scientific research about our body so that your physiology played into your hands. There is a whole curriculum of pole classes that you may follow as you like. The app also includes instructions on how to buy a good pole. So if you don’t have one, this info will be of a great help. All in all, if you don’t have time or money or, maybe, an opportunity to go to a dance studio, this app may serve as an excellent substitute! You just got to remember not to take on too much as you start and go slowly but surely. That said, I wish you to gain progress in pole dancing and, as the app’s developers say, start flying! Pole Dance Syllabus is an app created by PDC (Pole Dancing Community) to guide you through a world of an endless variety of pole moves. It is a well-known fact that pole dance as a sport has been recognized quite recently and still not fully. Before that, it was considered to be just a dance or even a way to earn money in a bar. But we all know that sometimes dancers need to be even more skillful than sportsmen, so the most dedicated pole instructors have decided to gather together to establish an official moves syllabus categorized by levels and a grading system for identifying one’s level of skills. Both of these elements can be found in the app. So, first and foremost, the app contains 336 moves categorized by 6 difficulty levels. All the moves are presented in short clear videos. And, secondly, there is the AAP grading scheme that will help you to rate your progress and celebrate small victories as you progress. This app is not free, but it is perhaps the most useful app on pole dancing out there. It will give your dancing experience a professional touch and who knows, maybe, you’ll become a professional at some point! All the videos are accessible offline, so you can watch the moves and practice the moves any time you want to. Download the app right now and level up every day! Pole Guide is a free alternative to the app above. This one is so-to-say less serious – it is not made by the professionals. However, the app is great in its own way. It contains over a thousand pole dance moves, and every move is accompanied by pictures. The best part is that it is social, meaning the app’s users can upload the photos that show how a certain move is performed by them. You can share your photos as well! It is always more fun and interesting to learn new skills together. So, if you think you’d rather choose a free pole moves app, let it be this one! Not only will it give you new ideas on what to do next, but it will also give an opportunity to share your progress with other dancers. Pole Motion is an app that is available only on iOS. 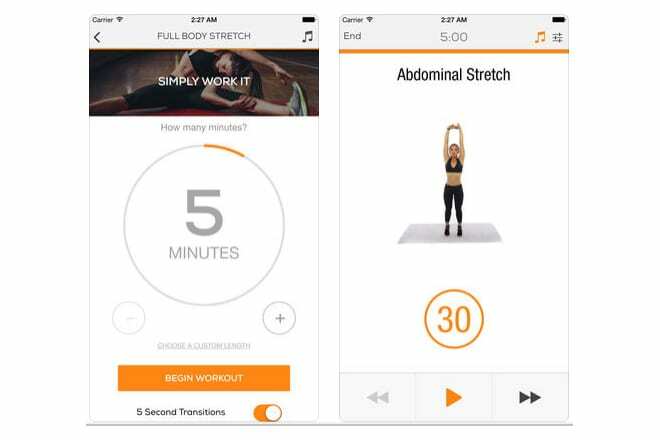 The app features lessons performed by Justine McLucas – a professional ballerina and a fitness instructor. All the lessons are voiced, explaining what you have to do in order to reach this or that condition. There are different kinds of lessons – tutorials, warm-ups, routines, stretches, etc. – suitable both for a beginner and an advanced level dancers. In addition to video-tutorials, there are photos which show how to make a certain move step by step. This is one of the most convenient apps when it comes to learning pole dancing moves. It is free but once you’ve downloaded it you’ll see that some of the best lessons like on stretching or toning exercises have to be bought. One way or another the app is definitely worth a try! You are lucky if you have an iOS device. One more pole dancing app for iPhone (and iPad, by the way). This one also contains lessons on how to pole dance. There are 346 video tutorials on how to make different kinds of moves. Basically, you can learn everything by following the instructions in the app. You can start with basic pole exercises and then end up learning how to perform such complicated tricks as pencil spin or boomerang spin-up. The advantage of this app is that you don’t need to sit and search for moves – you just watch something and then try to do it. One by one, you can become a top-notch dancer! The downside is that the app is not free and there’s no free trial, so if you don’t like the lessons for some reason, you won’t be able to get your money back. So if you are risky enough, get the app and start learning! Pole Power Pole Dance is not an app for learning how to pole dance. This is an app for finding places where you can learn how to pole dance. Wherever you are in the world, you can use this pocket tool in order to find pole venues, stretching venues, etc. Lots of fitness schools are already included in the app and new ones are added all the time! Besides searching for a place where to train, you can also use the app’s video tutorials, instructions, tips and so on. But this part is more of a bonus. One more bonus is a counter that will help you to keep track of repetitions and warm-ups. All in all, this is a very multifunctional app for pole lovers. If pole dancing is an indispensable part of your life, download the app today and make your life easier! If you want to be really good at pole dancing, you gotta be really good at stretching! Sworkit app can help you to achieve this goal. Be as stretchy as you like – the main condition is to train, train and train. The app includes over a hundred stretching workouts that are divided into three groups – full body stretch, head to toes stretch, and pilates. All you need is 5 minutes of your day. You don’t have to think what to do. You don’t have to be prepared. Just turn on the app, choose a training, and get started! Stretching will improve your flexibility and make you less vulnerable to injuries. What’s not to like? Get the app now and get more stretchy every day! To find out more stretching apps, check out this article: 17 Best stretching apps for runners and dancers (Android & iOS). So, these were seven useful apps for learning or mastering pole dancing skills. If you know more, please, share your knowledge in the comments below. As for now, we can conclude that there are not so many apps on how to pole dance. Maybe because of the fact that nothing can be compared to a real trainer or maybe because there is a myriad of YouTube videos on this topic which makes such apps almost unnecessary. Nevertheless, there are still good options! Hopefully, you’ve found the app you were looking for. Stay fit & awesome, be smart in choosing apps!